As I mentioned a few days ago, I've started developing my own black and white film at home. I'm beyond excited as this makes my life so much easier! Here is a photo from last night's half an hour photo walk around the block to get a few night photos to try out developing once again. 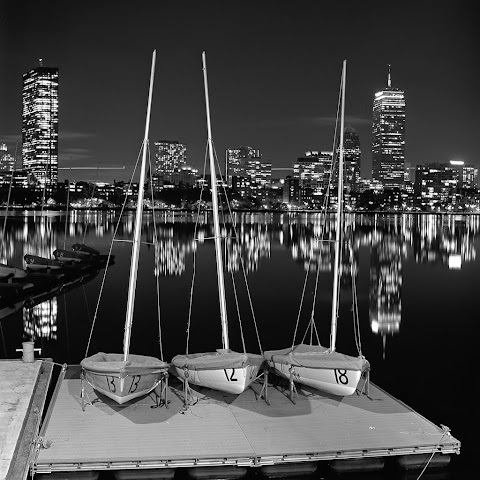 And here you go - three lone boats with Boston skyline in the background.